Fylet blog: WHAT ABOUT MULTILINGUALISM? Here we are. In 21 century. Surrounded by all kinds of people from different cultures and of course talking different languages. To speak with other nationalities we mostly choose English language. It is the easiest way. But can we say this also for mobile apps? Is it really necessary and enough to make apps just for English speaking people? We think there is a better way to deal with these questions. That's why we decided to promote linguistic, cultural diversity and of course multilingualism. Slowly, step by step, we translate our app into different languages. 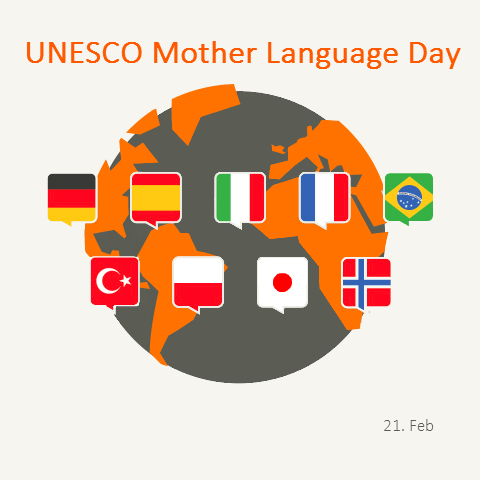 Today is UNESCO International Mother Language Day. We are celebrating it with Italian translation. Hooray. Here is our app in Italian version.